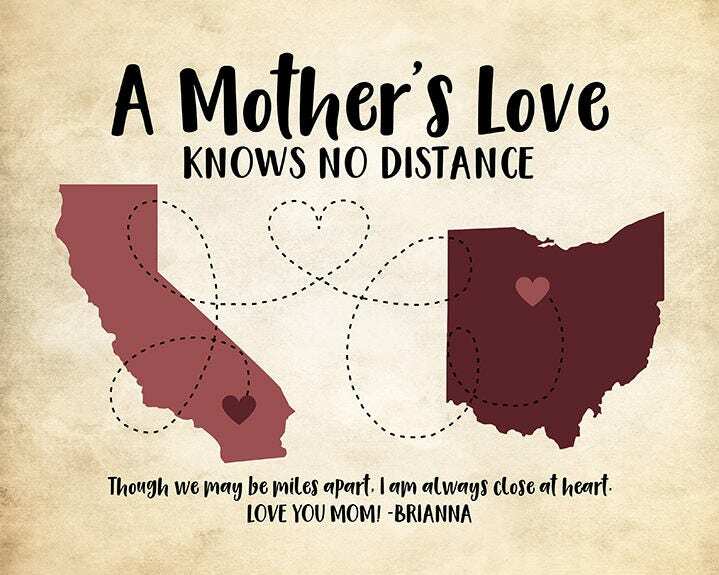 A Mother's Love knows no distance. 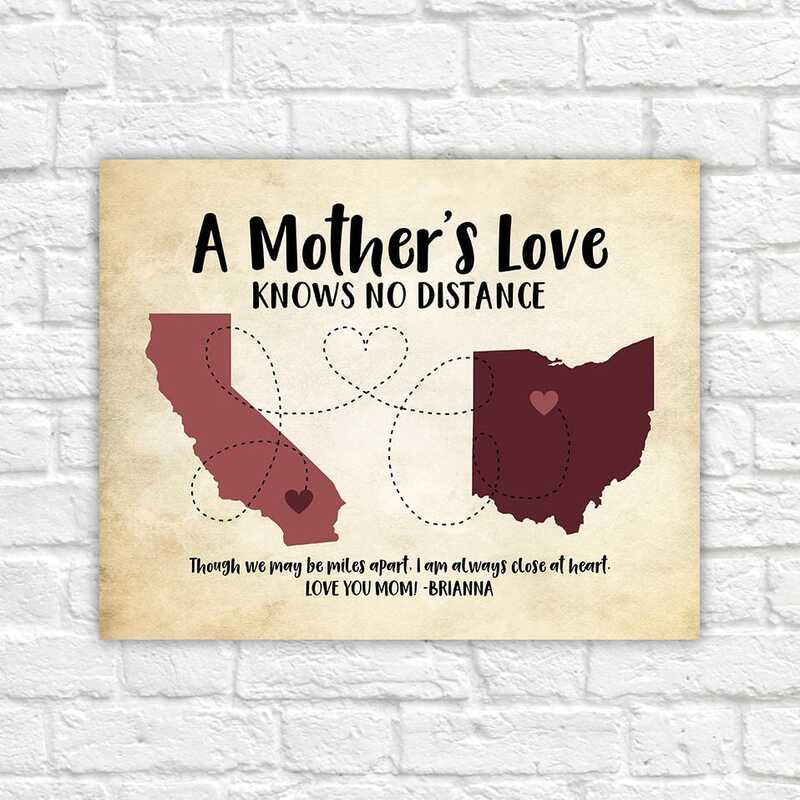 Personalized Two Map Art for Mom's living far away! 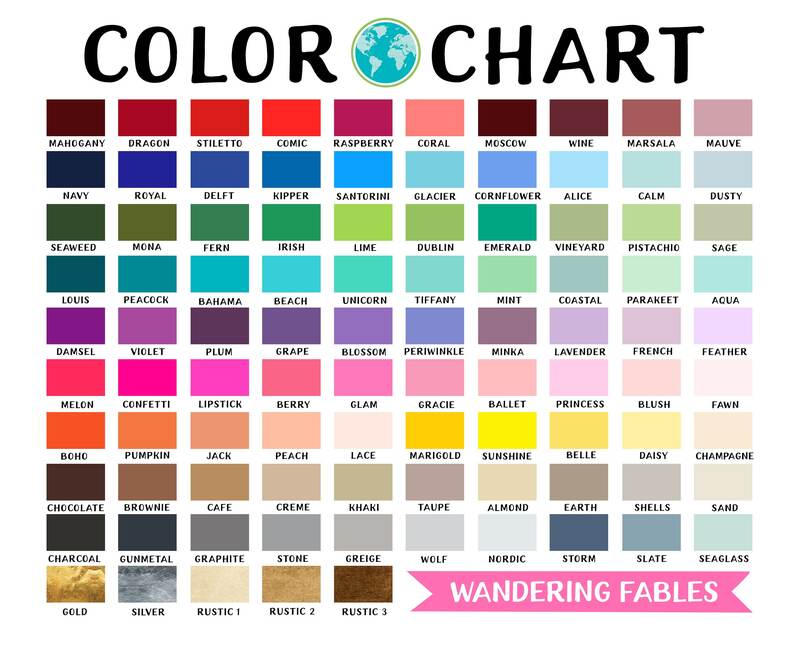 Choose any two maps and colors.